Last Wednesday my friend Denise wasn't feeling well so I called to see if I could help her with Jack, but she had already taken him to our friend Tricia's house. Tricia is always the first person to volunteer to help out with anything when she can. A few weeks ago, she volunteered to keep Landree so that I could get a few things done before my parents came (thanks again Tricia!) 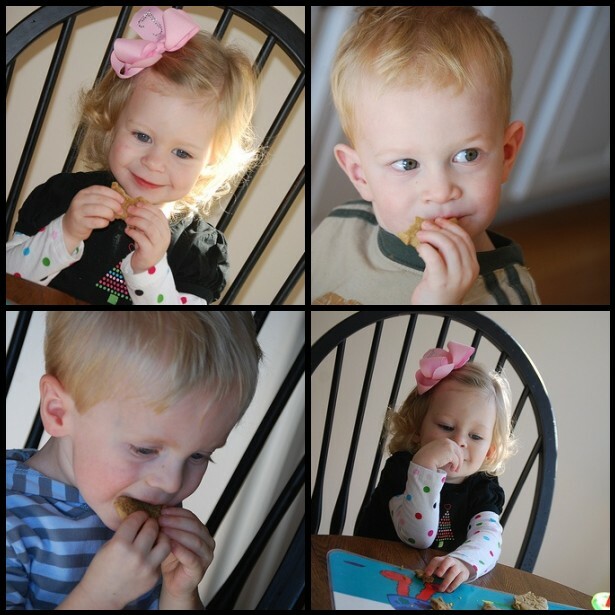 Landree and I decided this would be the perfect time and occasion to make gingerbread cookies, so we headed over to Tricia's to help entertain the troops. 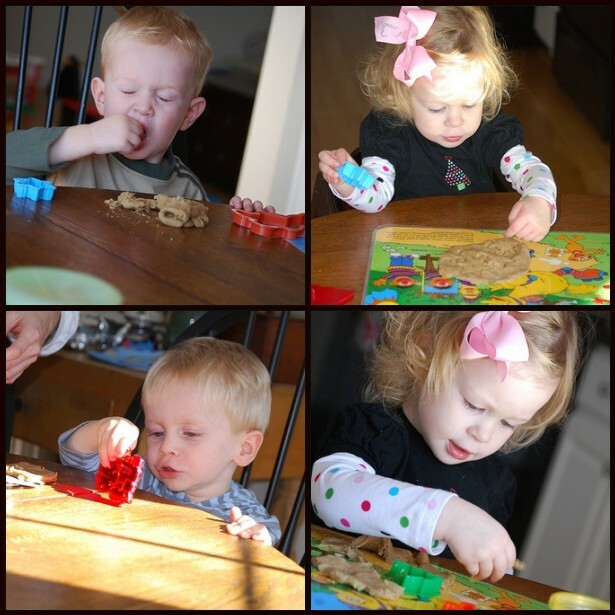 The babies all play so well together and had so much fun making cookies! The goods: I actually got this box of cookie mix at Target-it was only $4 and came with a cookie cutter, icing, eyes, and food paint! These were so fun to make! 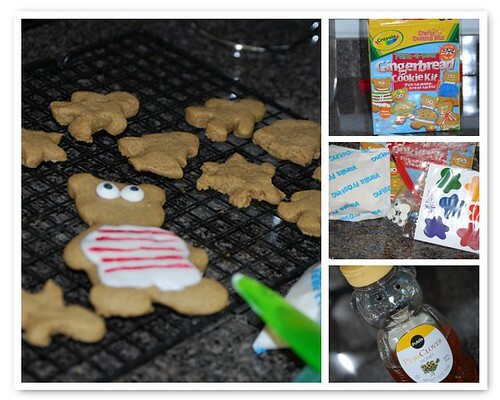 All we had to add was honey and butter, and the babies loved to cut them out with our Christmas cookie cutters. Look at you posting videos now! I LOVE it! Those cookies look yummy! Super cute! Ya gotta love T@rget! This is the stuff of life~making memories with your kiddos and a few friends! I love the pics and the video. Will have to get a copy of the pics from you. Maybe I should bring you a CD if you would not mind burning them for me. It looks like you had soooo much fun! Cute pictures! How cute! I love the cookie kit. Landree's hair is getting so full and beautiful! She is a cutie pie! I almost bought that kit!!!!! So cute!!!! I love your video posting, something new to learn. Thanks for your feedback, you are my best fan!!!! Making Christmas cookies is so much fun! Your children are adorable. I really enjoy reading your blog! I'm down with Jack! I love me some COOKIE DOUGH! Yum yum!!! !